Last week was a long week for me. I started an internship (working full time for the first time in forever), went to three events and had to work all day Saturday. To top that off I had relatives in town that I had to slot in last minute into my hectic timetable. I only stayed at my house a few times last week too so by last night I had a room absolutely full of clothes, shoes, receipts and god knows what else where I had come in, picked up some clothes and ran back out again. 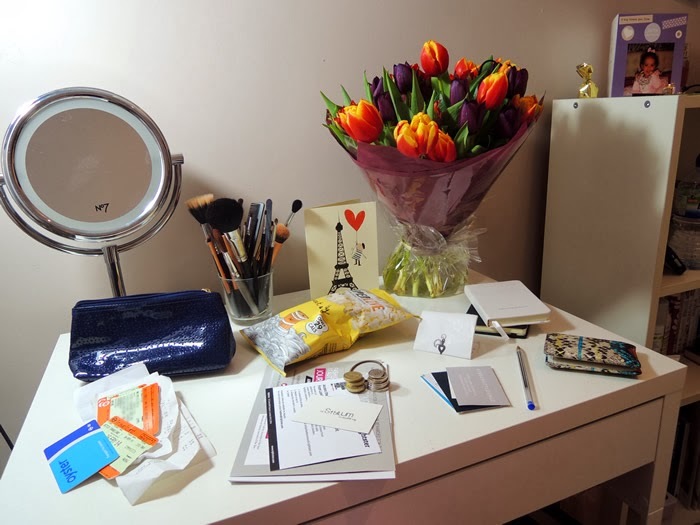 It felt so good getting home on Sunday afternoon and being able to organise my room, clear out my handbag and just de-cluttering my life in general. Today is a beautiful day and I'm happy that instead of tidying my room I can now spend the day doing whatever tickles my fancy. Before heading out I'm being a good blogger and scheduling posts to go up for this and next week. I aim to blog three times a week (Monday, Wednesday and Friday) and with some organisation I think that is definitely possible. p.s. I'm also editing my first Youtube video for theStylum today so keep your eyes peeled for it to go live!